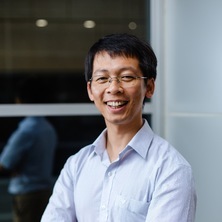 Dr Quan Nguyen completed a PhD in Bioengineering at the University of Queensland in 2013. From 2013-2015, he was a postdoctoral researcher in Prof Piero Carninci’s lab at RIKEN institute in Japan, where he developed novel genomics technologies to detect rare, functional RNA markers and he integrated multimodal genomics data to reveal novel transcription at DNA break sites. From 2015-2016, he returned to Australia as a CSIRO Office of Chief Executive (OCE) Research Fellow and developed computational methods to study genomic regulatory elements in mammalian genomes. In October 2016, he joined Institute for Molecular Bioscience (IMB) as a senior research officer in a pioneering team on single-cell research. He was appointed to an IMB Fellow position in 2018 and was awarded an ARC DECRA fellowship. He is leading a Biomedical Machine Learning lab at IMB and is looking for enthusiastic research students and research assistants to join his team. My research focusses on integrating single cell spatiotemporal data with large-scale population genomics data to find causal relationship between DNA variants, gene expression and diseases. Using machine learning approaches to analyse multidimensional sequencing and imaging data, I aim to computationally reconstruct biological regulatory networks underlying human diseases. The systematic understanding of regulatory networks and biomarkers that are specific to individuals and cell types will contribute to early disease diagnosis, targeted drug discovery and precision medicine. Through utilizing a combination of multidisciplinary expertise in bioinformatics, genomics, systems biology, biostatistics, and machine learning, Dr Nguyen has led successful research projects exploring cutting-edge topics in genomics and transcriptomics, including the analysis of some of the world’s largest genomics data sets. These projects have all resulted in the publication in top tier journals, including Cell Stem Cell, Nature Protocols, Nature Communications, Genome Research and a prize-winning paper in GigaScience. He has produced x6 bioinformatics software tools, x2 web applications, and x4 databases. Through his research, he has identified novel biomarkers, developed new sequencing technologies and computational methods that have implications in both manufacturing and healthcare. This project aims at studying cell-cell and gene-gene regulatory networks in primary tissues by deep machine learning analysis of population, single-cell and spatial omics data. Advances in genomics technologies enable data generation at an unprecedented speed, both in scale (hundreds of thousands of samples) and resolution (single cell). Machine learning in human genomics is an emerging field, which uses the power of statistics and high-performance computers in combination with biological knowledge to extract new information relevant to disease diagnosis and treatment. Personalised and precision medicine require system genomics research to resolve variability at the cell, tissue and inter-individual level (e.g. genetic background, age). While big data integration of population genetics and single-cell omics studies can address variability between isolated cells and between individuals, a particularly important information dimension that is currently lacking is the heterogeneity in cell type composition and cell-cell interaction within the physiological context of a tissue, before dissociating cells for molecular genomics assays. We will contribute to research in personalised and precision medicine through deciphering the complex heterogeneity between cell types, tissues, and individuals by comprehensively integrating single-cell and population genetics with spatial transcriptomics, a novel information dimension that is just beginning to be measured at a genome scale. Traditional machine learning and recent deep learning approaches for integrating multimodal genomics datatypes from bulk and single cells and image data will be applied. The systematic understanding of regulatory networks and biomarkers in a physiological context, which is specific to individuals and cell types will contribute to early disease diagnosis, targeted drug discovery and precision medicine. The research will generate an important understanding of variation in molecular networks inside individual cells and among neighbouring cells in specific microenvironments and among distant cell types involved in multi-organ communication, all of which underlie causal relationships between genotype and phenotype. The student will enjoy a conducive learning and research environment to develop a unique combination of multidisciplinary expertise in experimental biology, systems biology, biostatistics, and bioinformatics, and artificial intelligence. This project aims to use single-cell gene regulation networks to predict cell types and cell states in healthy and diseased tissues. Through cell differentiation and division, a single fertilised egg gives rise to ~37.2 trillion cells with remarkable variation in forms and functions to make up the human body. A long-sought research goal over the past 150 years is to understand cell types and their properties and how they affect health and respond to environments. Conventional methods to assess cell type variability often rely on a small number of pre-characterised biomarkers and use population average measurements of millions of cells per sample, which is limited in resolution, accuracy, sensitivity, specificity, and comprehensiveness. Diverse cellular phenotypes encoded by the same genome are results from the differential regulation of large gene expression networks with about 22,000 genes. ‘Cell type’ and ‘cell state’ represent persistent and transient cellular properties, which can be defined by data-driven, network-based approaches. A systems-biology approach, which utilises advances in the computational analysis of big biological data and single-cell technologies, can be the key to decode the biological program in every cell type in the human body, thereby leading to better understanding and control of organismal phenotypes at the single-cell level. The international Human Cell Atlas consortium (HCA) will release the first draft atlas comprising ~30-100 million cells for 15 organ systems in 1-2 years. Although at least 10 billion cells representing all tissues will be generated for the complete Atlas (Regev et al., 2017), the number is still marginal, accounting for 0.02% of the total 37 trillion cells in the body. Therefore, computational approaches are needed to recapitulate how the cells program the shared genome sequence in a human body to create astoundingly diverse forms and functions. From quantitative measurements of thousands of genes expressed in every cell, it is possible to reconstruct gene regulatory networks (GRN), the cellular programs. Regulatory ‘rules/patterns’ for molecular interactions are universally applicable in both population and single-cell data, and thus can be used to integrate datasets at single-cell and bulk-sample levels to infer GRN. This project will use gene expression regulatory networks to systematically quantify differences between cell types and cell states at single-cell resolution based. We will apply established analysis methods as well as develop new algorithms and software to integrate high-resolution scRNA-Seq data with large-scale population transcriptomics, genetics and epigenetics data to reconstruct gene regulatory networks. The ultimate aim is to predict the cell type and cell state of an unknown cell, by comparing the cell’s gene expression values to the largest single-cell regulatory network database generated in this project. The research would enable to predict cellular programs for thousands of cell types, which should contribute to the unprecedented ability to control and reprogram cells, to detect aberrant cells, and to understand how cells respond to the environment. Particularly, this project will contribute to studying cancer cell types and cell states at single-cell levels. Gingrich, JC, Davis, DR and Nguyen, Q (2000) Multiplex detection and quantitation of proteins on Western blots using fluorescent probes. Biotechniques, 29 3: 636-642. Nguyen, Quan, Prasath, Daniel B., Palfreyman, Robin W., Nielsen, Lars K., Chan, Leslie C. L. and Reid, Steven (2011). Optimising in vitro production of baculovirus biopesticides – a transcriptomics approach to establish a platform for expression analysis and bioengineering of virus and insect cells. In: Chemeca 2011 Proceedings. Chemeca 2011: Australasian Conference on Chemical Engineering, Sydney, Australia, (1-11). 18-21 September 2011. Nguyen, Hoang Quan (2013). Genome-scale transcriptomic study of Helicoverpa Zea host cells and H. armigera baculovirus infections in vitro PhD Thesis, Australian Institute For Bioengineering and Nanotechnology, The University of Queensland.